If you watch our IG stories, you know that my house gets messy… often and A LOT. It’s part of the gig and I’m okay with the cluttery mess of dishes on the counter, naked dolls on the floor and other toys spread throughout the house. I can handle these types of messes because if I couldn’t, I would be checked into an insane asylum by now! BUT… where I struggle…. the deep dirt. 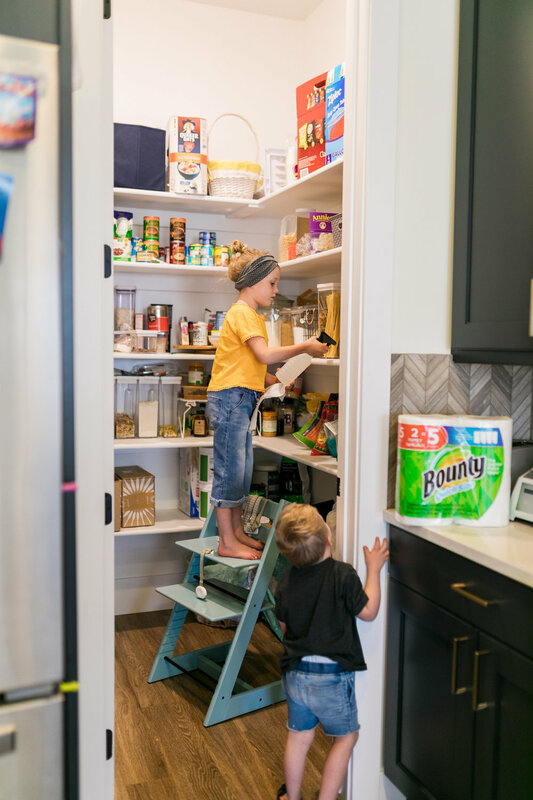 When my pantry shelves are covered in stickiness and crumbs I cringe. When the sun shines through the windows and I can hardly see outside because of the dirt caked on… It makes my eye twitch. Some moms would say that they love seeing those little handprints all over the glass doors and cabinets. I’m not going to lie to you… one is cute, but more than that and it grosses me out. There’s a saying “Good moms have sticky floors, laundry piles and happy kids” and couldn’t agree more! ;) But I also think that it’s healthy for our kids to see us working, cleaning and taking pride in a “clean-ish” home. 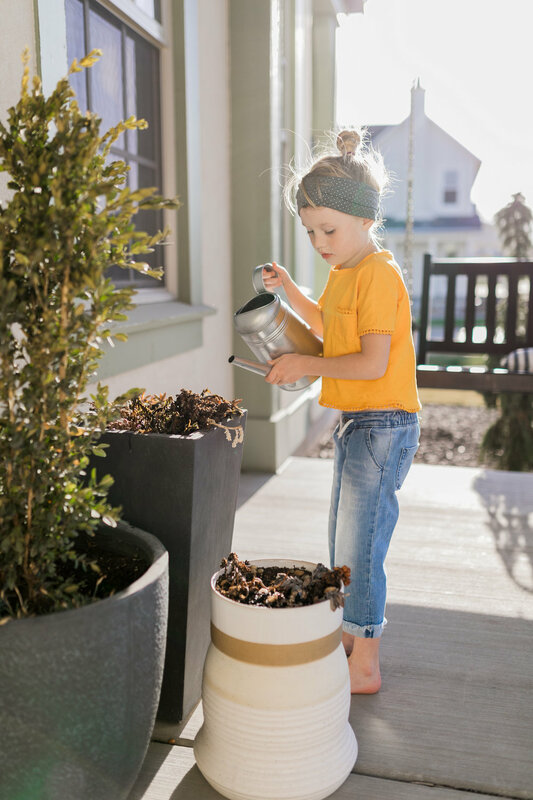 Drum roll for Spring Cleaning…. It’s time! The other day I had an eleven-year-old friend who happens to have Down syndrome, come over (Jaymi, you probably see her in my IG stories quite often). She lives two doors down and is my favorite little helper (in return for treats of course!) She is a real joy to have around. Jaymi came over and helped me prep for a BBQ the other night, following every single instruction and taking great pride in her work. She LOVES to help out and be praised for her efforts and I love having her over to work alongside of me. We make a great team. After about a half-hour of picking up and wiping down (all while Scarlett was playing with Jaymi’s younger sister) the thought occurred to me that Scarlett should be in here helping me the way that Jaymi was. Scarlett is six and perfectly capable of taking instructions and rolling up her sleeves to help out. Why don’t I give her more tasks? Why am I doing all of the daily chores? We’ve done chore charts but I haven’t been great at regular implementing… and I’ve always kept the chores pretty simple. After watching Jaymi, a young girl who is differently-abled, take on each task with great pride and a smile, I was inspired to get Scarlett pitching in a bit more around the house. This week we started some serious spring cleaning and Scarlett is helping me in the process (#momwin)! Though the jobs take a little longer with her “help”, it’s been really fun watching her learn how to clean out and work hard. 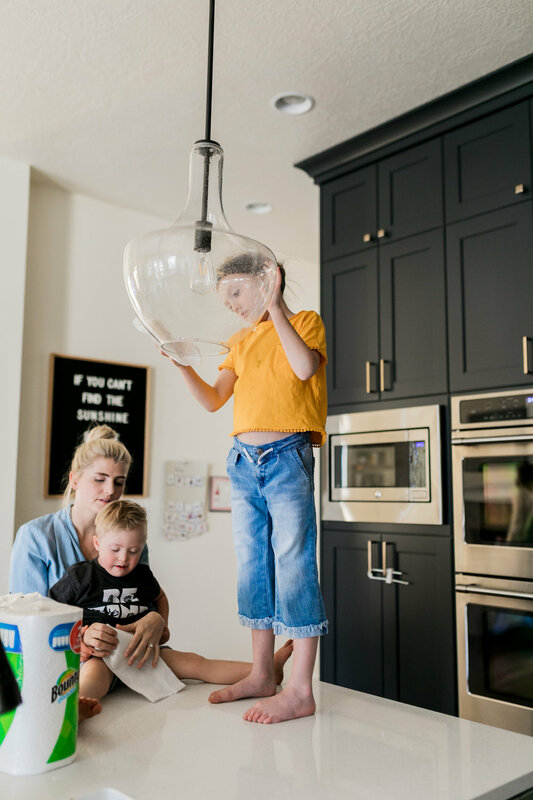 Here is a #momhack tidbit for ya… our favorite paper towels for these tasks are the NEW Bounty Quick-Size Paper Towels – which you can snag on Amazon! These come in Select-A-Size (aka less to waste when being used by “helping” kids) and contain 16 Family Rolls. So if you’re like me and decide to start your spring cleaning at the last minute, you can order them on Amazon and they’ll get to you speedy fast, leaving you no time to change your mind and opt out! A few other things I love about the Bounty Quick-Size Paper Towels is that they don’t leave white flakes, they’re thick, super absorbent, and right now you can get the Family Rolls at a great price (#momwin). On Amazon, the 16 ct. Family Rolls of the Bounty Quick-Size Paper Towels are available for up to $7 off by using the promo code 5QUICKBOUNTY and applying the additional $2 off coupon at checkout – you know I love a deal! Having my right-hand helper (Scarlett + Bounty) by my side has actually made spring cleaning seem a little more fun. Teaching Scarlett to help along side of me is still a work in progress, but today when she complained about the “spring cleaning task of the day” I talked to her about how her brothers watch her, emulate her and want to be just like her… and mommy needs everyone to learn to pitch in. She was flattered that those two little munchkins want to be like their big sister and then wiped down window seals while explaining to them that they need to do their part, too… just like her! It’s fun watching these little progressions and character building moments with my kids.